Are you having problems acquiring a healthy smile with sparkling white teeth? Teeth whitening has grown to become one of the most popular services offered by many dental practices. The secret is out—over-the-counter whitening products are simply not as effective as a professional whitening treatment. Regardless of how well you take care of your teeth, eventually your teeth will experience some discoloration and darkening. The best way to address discoloration is to use teeth whitening solutions. There are several things that can cause your teeth to become discolored, including tea, coffee, soda, certain foods or tobacco use. Some other things that may cause discoloration include health problems, certain medications, and failure to practice proper oral hygiene. When you call on us, we will work to help you improve your smile with whiter, brighter teeth. We have experienced teeth whitening professionals who are ready to make sure your teeth reach their optimal level of whitening. Here at Topanga Dental Dr. Maria Saguin uses industry approved methods to make your teeth look their best. Our experienced teeth whitening professionals will come up with an effective treatment plan that will meet your specific needs accordingly. 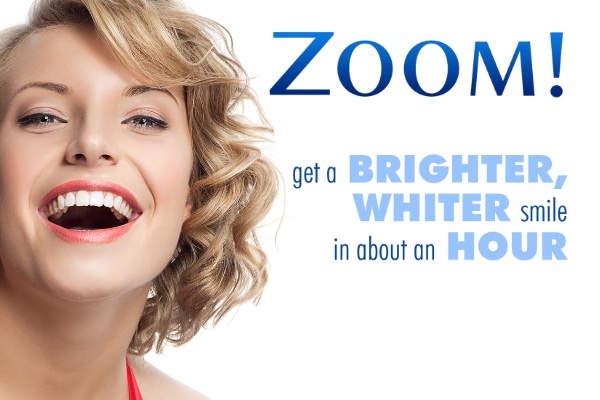 One solution we have available at our facility is The Zoom!® In-Office Whitening System. This system makes your teeth beautiful and white again by breaking the stains on your teeth down with the help of Zoom!® Whitening Gel. Whiter teeth and a more attractive smile will boost your self-confidence. After you have undergone the procedure, you need to adhere to the post-whitening care directions. With proper oral hygiene, you will be able to keep your teeth white and attractive. For periodic touch-up needs, use the Zoom!® Take-Home Gel. While our procedures are effective, you can prolong the attractiveness of white teeth by practicing good oral hygiene. 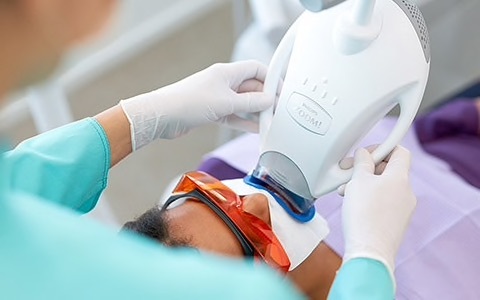 There are have been plenty of recent discussions about the safety of teeth whitening services. If you are having professional whitening services overseen by a dentist, research by professional organizations such as the American Dental Association have deemed it to be safe. Research shows that many dentists believe teeth whitening is the safest cosmetic dental procedure today. Not everyone can use Zoom! Whitening as it is not recommended for children younger than 13 or for women who are pregnant or breastfeeding, but that is suggested for all teeth whitening products. Also, people who have a sensitivity to light because of photochemotherapy should not pursue teeth whitening. Individuals who are medication that calls for light sensitivity precautions should consult with both your physician and your dentist before undergoing any treatments. Tell your us if you have a strong gag reflex or experience anxiety during dental procedures. We will adjust to make sure that you are completely comfortable. Schedule an Zoom Teeth Whitening consultation today with Dr. Saguin. Dr. Saguin is fully trained and is a provider for Zoom Teeth Whitening in Chatsworth, CA. Dr. Saguin is very gentle and thorough. The office was able to work my insurance and the treatment itself was relatively quick. I appreciate the niceness of the staff- they really put my mind at rest. When I met the doctor she made me feel even more relaxed to be in her chair-she explained that if at anytime i want her to stop just raise my hand; which I did!!! When the moment came an I felt real pain- they stopped and gave me a minute. Thank you to everyone at Topsnga Dental for your kindness. Happy Holidays to u! From my very first visit at the office, I was made to feel welcome and comfortable both by the friendly competence of the staff and the pleasant environment of rhe office itself. Doc Malu inspires the confidence by her smile and by her wealth of knowledge, skill and professionalism. Kudos and the highest recommendation to Doc Malu and everyone in Topanga Dental!!!! I highly recommend Topanga Dental. The clinic is very clean and is well equipped with advanced dental equipments. Dr Maria Saguin and her staff are warm and caring. It’s so easy to make an appointment with Topanga Dental. Dr Maria Saguin is meticulous and very professional. She provides quality dental care with the latest technology. I got my Braces, then my son and now my husband all of us from Dr. Saquin, I'm use to calling her "Doc Malou". She is very accommodating, friendly, professional, understanding and most of all i can ask her questions anytime.. Her office manager, Debbie is very helpful and knows what she is doing. Great team! Dr. Saguin has been my dentist for almost 10 years now, very satisfied with her service. Very knowledgeable and passionate about her field. Will never go to another dentist. OMG! what a wonderful dentist. Yesterday I had to have a tooth pulled, must admit I was a bit nervous about it. She told me she was going to give the me Novocaine, did not feel a thing, it was amazing, best shot I have ever received. She had the tooth out and was done before I even had time to get nervous, did not feel any tugging or pulling. I am thrilled beyond pieces. The doctor is friendly, outgoing and has a fabulous bed side manner, she gives you all the information you need and if you have questions she answers them.Debbie who works for her is just wonderful also. They give you all costs involved before work is started, there are no surprises. 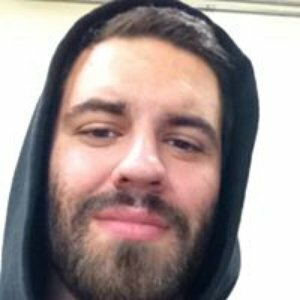 Great place to go, could not recommend it any higher. Wonderful office, great atmosphere, no waiting, if your appointment is at 4:30 you are seen at 4:30 if not before. Great office, great staff, great dentist!!!!! Love this dental office. Dr. Saguin is an amazing dentist. Very professional, gentle, skilled and does quality work. Her staff are very nice. Topanga Dental provides best dental care for their patients!!!! 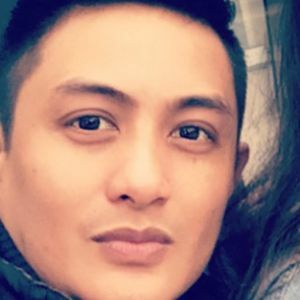 I just had a major work done on my teeth with Dr. Saguin for the first time. She was very professional and knowledgeable and did a great job. I will recommend her to everyone I know. Additionally, Debbie, the office manager, is a wonderful person to deal with. She is always willing to assist anyone who needs her help and she welcomes every person with a smile. Dr. Saguin had been my dentist for many years but had to switch to another provider when I moved to another city a couple of years ago. Now I'm back in the valley and fortunately, Dr. Saguin just opened her own clinic not too far from where I live. Dr. Saguin is a very skilled and knowledgeable dentist. She is very friendly and very professional. She takes the time to educate her patients about oral health, and she patiently answers all your questions. She is great with kids, as she is now my son's dentist also. Appointments always run smoothly, and I love the fact that I don't need to wait a long time to be seen. Her staff is wonderful, especially Debbie. She is very helpful and polite, which is a huge plus for me. If you live in the valley and are looking for a great dentist, I highly recommend Dr. Maria Saguin. She is simply the best. You will not be disappointed. Love Dr. Saguin and her team!